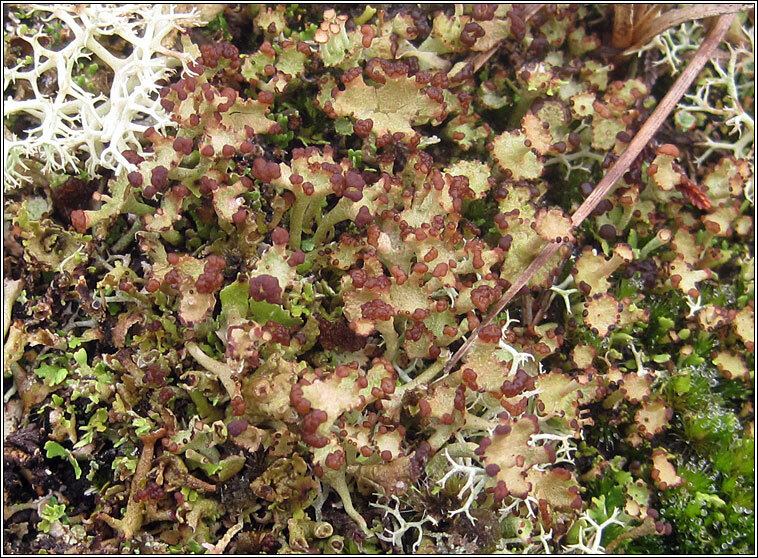 Acidic soils on sandy heaths and dunes and drier areas of peat moors. 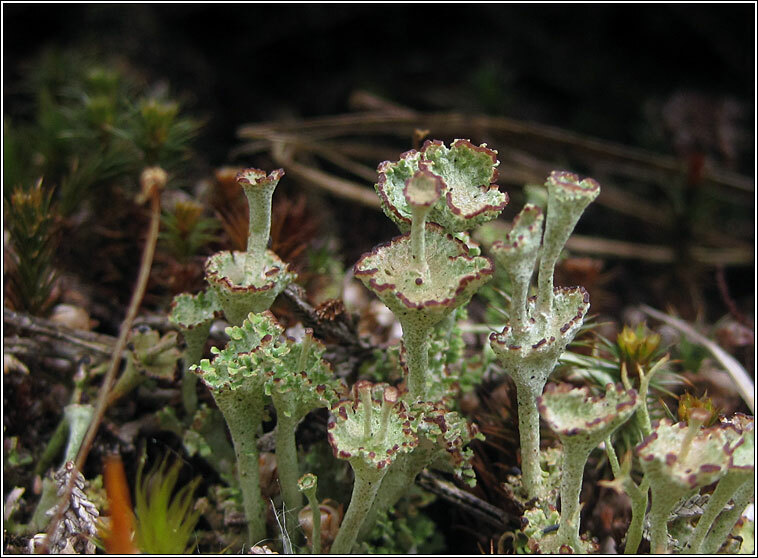 Grey-green, upright basal squamules with +/- rounded, indented tips and white lower surface, often grey tinged. 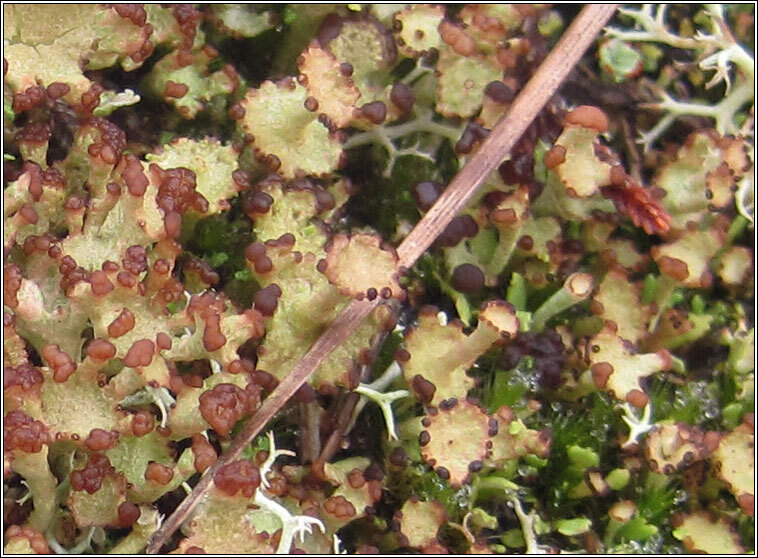 Squamules not blackened at base. Short-stalked podetia, sometimes forming tiers. 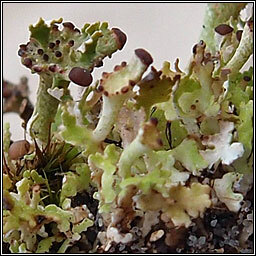 Similar: Cladonia verticillata. Podetia form 2-5 tiers. C. subcervicornis. Squamules blackened at base, K+ yellow, P+ red.